A very noteworthy occasion happened 150 years ago. 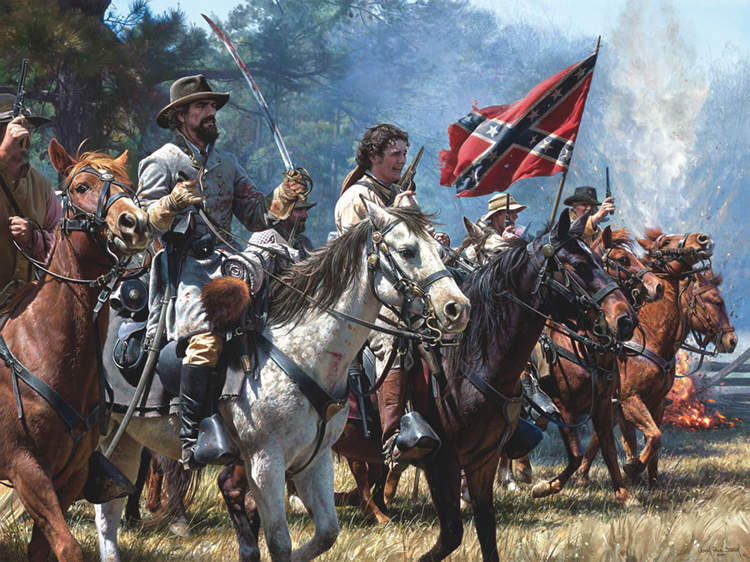 On June 5, 1863, General J.E.B. Stuart held a Grand Review of his cavalry troops in Virginia. Always the flamboyant cavalier, General Stuart transported ladies from Richmond via the Orange and Alexandria railroad. 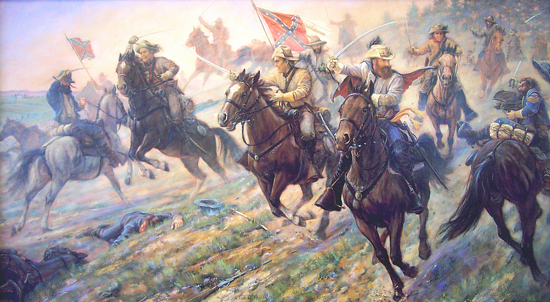 The review, complete with fancy maneuvers by the troopers, a floral-strewn grandstand, and trumpeters, also featured artillery that blasted at the horse soldiers with mock ammo.That evening, a ball was held, and General Stuart’s own musicians entertained while the ladies danced with Confederate cavalry officers.